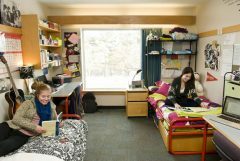 All levels of undergraduate study; residents are mostly first year. 4th Floor is a Substance Free Floor. 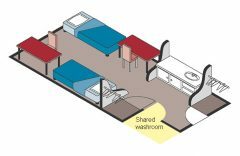 Majority of rooms are double with the washroom shared between two rooms. Each room includes a vanity/sink. Be sure to check out a video tour of Dundas House.